While the concept of the “smart city” has been around for more than a decade, it is only recently that city planners have started to think seriously about the impact of technological innovation on personal privacy and individual digital rights. With that in mind, a group of three world-class smart cities – New York City, Amsterdam and Barcelona – recently launched a new initiative known as Cities Coalition for Digital Rights that is specifically designed to protect the digital rights of their citizens. It is an important achievement because it is the first international agreement between cities that is designed to protect digital rights on a global, not just local, level. What are the digital rights of residents in smart cities? The idea of the Cities Coalition for Digital Rights is simple yet also profound: smart cities can be fully compatible with personal privacy and fundamental digital rights. One of the accomplishments of this Cities Coalition for Digital Rights is simply outlining the types of fundamental digital rights that cities should be protecting. The leaders from New York, Amsterdam and Barcelona settled on several fundamental digital rights that all cities should respect, including the right to Internet access, the right to privacy and data protection and the right to data transparency (including non-discriminatory algorithms). In order to protect these digital rights, cities should be taking steps to build “trustworthy” and “secure” digital services. The goal should be to take a more proactive role in making sure that citizens are not snooped on without their consent, or their personal data used in ways they never expected. While cities may not be able to control private corporations that are based within their metropolitan area, they can control the public spaces and public infrastructure that are found within these areas. They can also ensure that the democratic process is open to all, and that they are protecting residents from external threats to their digital rights. As the Chief Technology Officer of New York City remarked at the unveiling of the new initiative at the Smart Cities Expo World Congress in Barcelona, cities have a civic duty to protect all people from any threats to these digital rights. Specific threats include hate speech on social media, personal identity theft and so-called “black box” algorithms that unfairly profile people based on their racial or economic background. Artificial Intelligence: A Cybersecurity Solution or the Greatest Risk of All? On the surface, all of these human rights and principles would appear to be rather non-controversial. The problem, however, is that the rapid pace of technological change is leading to the types of situations that city leaders in the United States and other Western nations never could have imagined. For example, the idea of putting sensors on city infrastructure to make a city more efficient seems like a good idea at first. If those sensors can help to detect when a bridge needs to be repaired, or when a street needs to be plowed of snow, that is a positive benefit for smart city residents. But what if those same sensors are used to eavesdrop on conversations taking place in public places? Or what if those sensors (or other digital technologies) are also collecting personal data on people without their knowledge? One particular concern highlighted at the Smart Cities Expo World Congress in Barcelona is the problem of black box algorithms that city leaders are increasingly relying on to make their cities more efficient. For example, city police departments may use crime prevention algorithms to determine how to allocate their resources. The problem is that these algorithms might unfairly discriminate against low-income city residents living in specific neighborhoods of a city. In recognition of this fact, New York City has now convened a special task force on “algorithmic bias,” especially as it relates to the New York Police Department and the Office of Criminal Justice. Smart city leaders are also taking steps to promote what they refer to as “responsible digital innovation.” For example, a new project called DECODE is dedicated to helping smart cities to protect digital rights and personal privacy. And a new special report from Nesta, “Reclaiming the Smart City,” takes a closer look at how cities can be more responsible when it comes to protecting the data of their citizens. The report specifically looked at case studies from cities such as Amsterdam, Barcelona, Ghent, Sydney and Bristol, and covers topics such as access to information, intellectual property, open data and data collection. One big question still facing leaders of smart cities is how to gather data from Internet users in consent-driven ways and then how to share information responsibly. After all, residents can’t “opt out” of a smart city, so the responsibility is on city leaders to come up with better approaches to common urban problems while also respecting fundamental freedoms. For example, the fight against crime and domestic terrorism is always a concern, but smart cities should not be constructing vast surveillance states to snoop on their citizens. Some smart cities, for example, now record private conversations in public spaces and use sophisticated facial scanning techniques using AI to find potential criminals or terrorists in a crowd as part of law enforcement initiatives. But where is the line between crime prevention and unwanted surveillance? 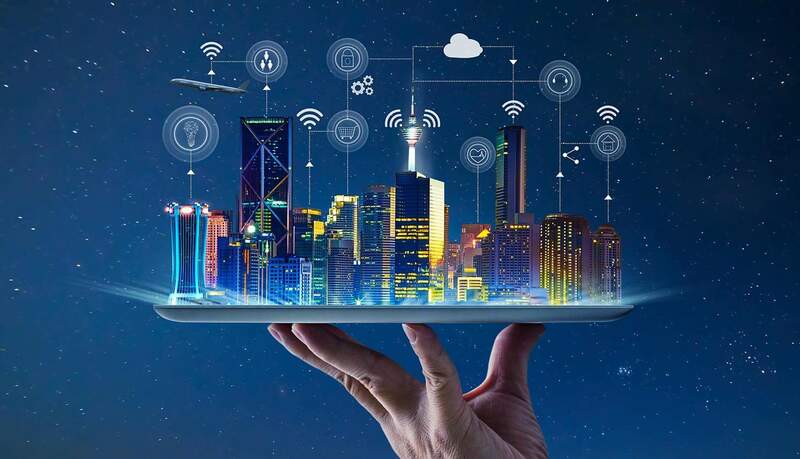 With the emergence of any new technology – such as the Internet of Things or artificial intelligence – there will always be compromises that smart city leaders will need to take into account when they offer new digital services. The good news is that initiatives such as the Cities Coalition of Digital Rights point the way to a future where responsible collection, management and use of personal data from residents and visitors is the norm rather than the exception. At the Smart City Expo World Congress, a group of 42 other cities also agreed on the ten principles for a platform economy, and momentum appears to be growing around data privacy and data protection. Further build-out of these initiatives – and the ability of cities like New York, Amsterdam and Barcelona to promote and track progress – will lead to the development of smart cities that respect privacy and the freedom of expression, and that provide plenty of options for residents to participate in democracy regardless of race, gender, or economic background.